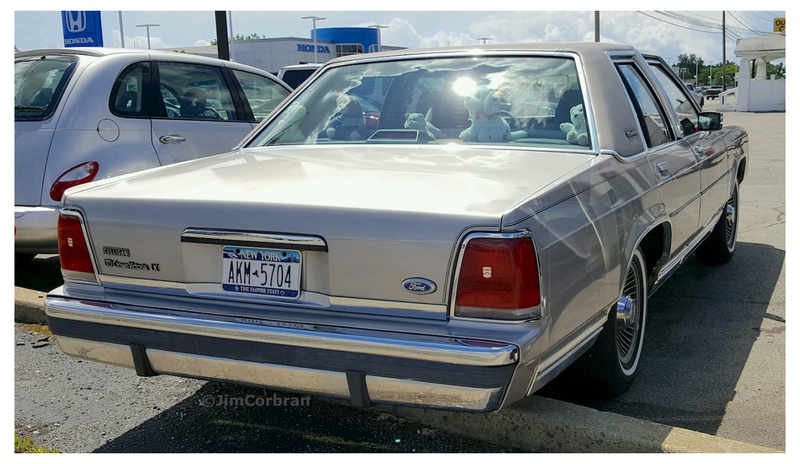 Here’s photographic proof that not every 1989 Ford Crown Victoria was a police car or a taxi cab. Some of them were, and still are, very comfortable family-type cars. Just a year before, Ford was advertising the Crown Vic as “roomier than 99% of the cars on the road today.” You could tell that times were changing when one of the features Ford bragged about in their ’88 brochure was “functional drip moldings.” Drip moldings have since pretty much gone the way of the three-on-the-tree, as style has won out over function, and we now live in a world of rain water pouring into our cars’ open windows. 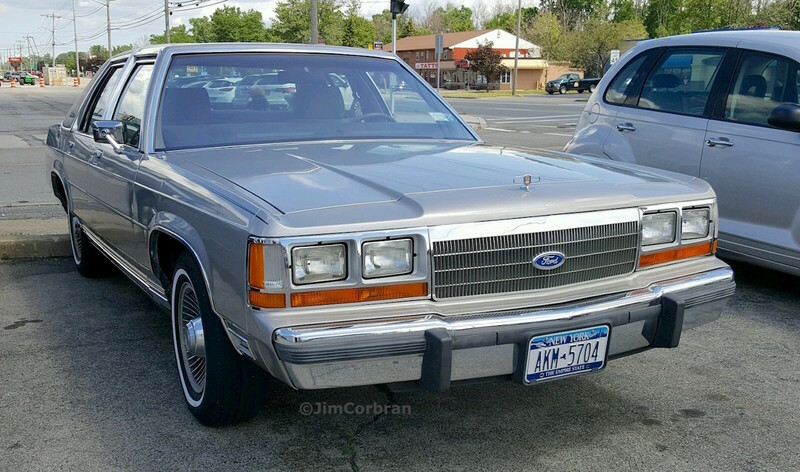 Saw this fine-looking four-door last week in Tonawanda.